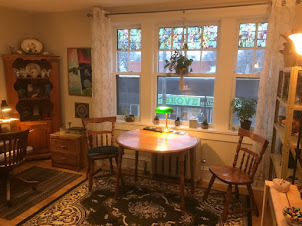 Occasionally I am contacted by people who are having energetic disturbances in their homes (and lives). It seems a natural assumption that as I am a reader of energy I might be able to help. Although I am not what you could classify as a clairvoyant or medium (I'm more of an extra large), I have some sensitivity to these things and an objectivity to other possible causes that are more often the case. I only recommend treating the possibility of something being "paranormal" once all other causes of disturbance are ruled out. Sometimes I am able to be helpful in identifying these causes that are more a result of our own issues. Where these things might be more the result of something beyond our own explanation I encourage people to carefully seek out those who might specialize in that field (more on that later). Even then I would suggest that inner work is paramount to re-establishing our own well being. What my work is more tied into is the stuff we can change within ourselves. Often when we take care of that the rest falls into place. If you don't want to explore the possibility of inner work as a solution and would rather just automatically blame an external "entity", or "bad luck", I'm not the reader for you. I often come across some things in these areas of disturbance that can prove helpful and I will share a little of that here. I should mention that there are many different types of disturbance or activity that people can be experiencing. What people often assume to be a ghost or "entity" can, in many instances, be a projection of their own energies or trace energies left behind from other people. This is a lot like when you get squirrels in your attic and it can get dramatic and harder to clear if it is left uncared for or made worse if it starts playing off other conflicts in the environment. In the instances of something elemental or atmospheric being the cause, this often draws off these issues. The more we don't take responsibility for ourselves in these situations and let fear play out, the more the situation can escalate. In many of theses instances, people are dealing with issues that are repressed BEFORE the odd activity starts. There are sometimes relationship issues, trauma, grief or conflicts around beliefs that contribute to the disturbance. Sometimes treating these things is all it takes to clear up the problem, a lot like if you leave crackers laying around you get mice, clean up the crumbs and the pests move on. Having your own healthy energy is like having a cat that scares off the mice. If you clean up the unresolved conflicts the energy patterns often clear themselves. Sometimes what I call a "stuck" energy pattern is playing off our own stuck stuff and it starts going back and forth. For some who are religious, by all means I'd say seek help from your particular faith path. If however you aren't of a particular faith or have conflicts about it, then using these resources could just create more tension. A person who has had negative experiences in a particular faith path, reading aloud scripture or dogma they disagree with or feel intimidated by is sometimes only going to get further conflicted. Frankly you'd be better reading Winnie The Pooh (again just my experience). If you have others in the home that seem to be dramatic about the problem, they may be (in all fairness unconsciously) holding on to whats going on. I have encountered a number of situations where the person this is centering on is, in a way, actually holding others hostage by being a victim to the situation. I'm certainly NOT saying this is always the case, but I've come across this as an explanation many times over the years. If children are involved in the environment, it is highly important to not play into drama around them, likewise with people who are otherwise impressionable. The more people react to this, the more it feeds the negative pattern of things. For some emphasizing that we all have our own guardian energy and being conscious of that creates a positive current. Sometimes this can be a great turning point for a person to get on track with positive things. If you watch a lot of scary movies or read murder mysteries and the like all the time you might want to refocus your attention. Are there things in the home that are positive and inspiring? Trying to treat energetic disturbance when anyone in the home is hanging on to unhealthy distraction (or addiction) or is dealing with any form of imbalance is only going to treat the surface of things (like spraying air freshener on a backed up sewer). Again, I am not discounting what others experience as their truth about manifestations of energy. There are a lot of varying experiences out there. This is the realm of the living though and we DO have the right to our space. You wouldn't let a stranger walk into your home and throw things around or cause a fuss. Just because something seems to manifest in spirit doesn't give it the right to disrupt your life. Unfortunately there are some who react to these situations with an immediate response that has a vested interest in finding something where there's nothing or very little. Ever notice that you never see the "Rescue Mediums" say "I don't think there's anything here". I will say that I LIKE that show, I'm not knocking it, in all fairness maybe they don't bother making a TV show out of those instances. But I also find "Paranormal State" and a lot of other TV shows frustrating in that they have people on them that seem to mean well, but my impression is they often make way more of things than they need to. Adding scary music and "dramatization" doesn't help and (in my opinion) only discredits those who DO energetic clearing and work conscientiously. If you DO feel the need to call in a resource, as with any professional service, check around. Just as there are mechanics you'd take your car to when you hear a noise, there are some who have a great reputation for taking care of a small problem and not overcharging, (this is generally what I hear of in terms of good resources here in Winnipeg). There are others that will give you a whopping bill for stuff that really wasn't needed ( see the post on avoiding scams: "Curses, Foiled Again!"). Also I should mention that just because a person doesn't charge doesn't necessarily make them genuine. They could (again I'm trying to be fair) with good intention, be playing into their own need for things to be there that aren't or in some instances, their own aggrandizement. Be cautious. Straighten out as much as you can on a practical level. You just might find you're not as haunted as you think. All this being said, I do respect that there are good resources out there - Again, Winnipeg seems to have quite a few that I have heard good things about, but not having had direct contact with some of them I cannot mention them here. These are people that I respect in that they seem to have helped a lot of people and deserve the good reputation they have. I have only offered here my experience on my own perceptional level. I was talking with my friend Charley (Foxtower Photography - check him out on the left if you haven't already) a while ago about experiences around the Three of Pentacles. 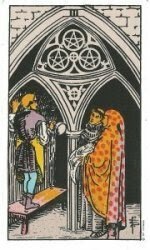 This is interesting as the Three of Pentacles itself is about sharing experience! As I have mentioned before, I often study the relationship of numbers as well as elements. I look at what the threes all have in common. I also look at what "threeness" means to me (this is covered very nicely as a concept in Gail Fairfield's book "Choice Centered Tarot", it's in the "books on Tarot" link, under "Useful Resources" on the left of this page). Threes overall to me are the first evidence of a pattern. I refer often to folk tales and the stories we hear as children, as these are an indicator of our patterns of awareness that are passed along. Often in a story we are given three examples, three lessons or, as in baseball, three strikes and your out! Threes are where we see connections and associations. These patterns continue and are arrived at again in the sixes ( a second cycle of three) and visited again in a very powerful, often imprinting way in the nines (the third three cycle). The three of Pentacles is fascinating in how a concept is illustrated in more than one way. I often associate Pentacles with the inner business of ownership and accountability. The most mundane aspect is our material possessions and resources, but inwardly it is what has worth to us, what we truly "own". This card shows three figures, a monk, an artisan and a merchant (his robe is an indication of his class). Each has his own sense of ownership in the work going on. For the Merchant, it may be his financial contribution, the limits of what he can spend or the recognition he may want in contributing. For the monk the building represents a physical manifestation of his faith and also the place he would be working in on a day to day basis. The artisan, is concerned with his own take on the process, perhaps the resources he has to work with. In order for the work to go on, each of these elements has to have a point of agreeing. None can tell the other how to do his job exactly but they can have a common ground. This may be challenging, what looks good on paper (the blue print they are holding) may be more than they thought in the actual carrying out of the task, but if they can remain centred they each will grow from the experience and that's part of the inner building that goes on. All of this is illustrated again in the structure itself. Notice the three concentric rings that have the pentacles themselves in them. They are within what looks like a delicate arch, but is in fact holding up a great deal of weight. they don't intrude on one another, if they did the structure would collapse, but they do have a tiny ring in the centre of them. This is the unifying concept that holds it all together. In a reading this card can be an indicator of interactive work, sometimes a job that opens up new experience, or a ground floor opportunity that allows someone to share in an entirely new way. We can't get too "uppity" in our experience, an artisan can't tell a monk how to do his job. There has to be mutual respect of differing ideals but common principles. I always like to remember that one of the first words they teach kids in school or on Sesame Street is CO-OPERATE! I've noticed some of my greatest growth experiences aren't necessarily where Ive been with people who entirely agree with my ideas or my take on things, but rather in a spirit of fellowship, different perspectives come together around a concept. There is a Fraternal or brotherly feeling to this card, (this is interesting as there is a Sororal or sisterly energy to the Three of Cups, which I will talk about anon). I often find this energy around collaborations, say a group getting together to work on a community concept. Someone has a vision, someone has a practical outlook and someone has some experience with the carrying out of things. Maybe it's like some charitable stuff I've been involved in where someone wants to do some work to serve a need, someone has connections and someone just wants to write off a surplus they have. If these things can come together, not necessarily in complete agreement but in a tenuous vision, then we have something to work with. This is a lot like how some systems of government have to work. Here in Canada we have a parliamentary system where different parties have to have a majority on an issue in order to get things done, or work issue by issue to work out agreements. Maybe it's unintentionally timely that I am posting this on the eve of Britain's elections where their parties are in a precarious balance. 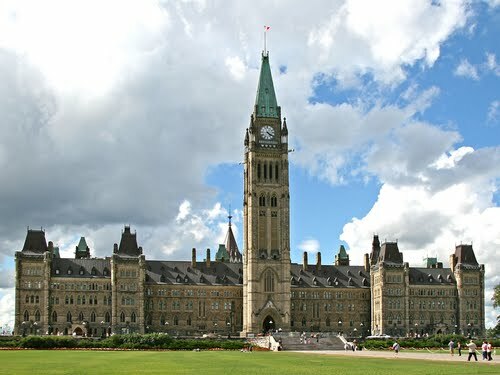 What we call in Canada a "minority government", they call a "hung parliament" as the winning party does not have Carte Blanche to do what it pleases, but rather must work out and negotiate on an issue by issue basis. Let's hope that they, like the rings on the card I am talking about, can remember how much rests on their agreement. It's been a busy month. April flew by and with one thing and another I've been remiss in posting. Not a single thing since March! Probably the latest news is that CBC Information radio did a series on "Urban Myths -psychic neighborhoods" and profiled a number of people in the city and I was honored to have been contacted. There was a lot of discussion about various forms of reading and some things about paranormal activity that are outside my realm of work. I can only comment on my own experience and am not familiar with some of the other things that were under discussion. For my own part it went well, I found the reporter open and comfortable to talk to. I was asked at one point about people being skeptical and I think that goes with the job. I have to be open to skepticism, I also dont encourage blind faith. I think it's always best to approach reading as "food for thought" and as something that works in compliment to a person's own intuitive awareness. I'm glad that came across. In other areas, I was pretty busy helping with some community things. Did some backstage work for some events that friends were involved in. I serve on the board for a community group and volunteer around a social club, occasionally doing readings for charity that I mention here when they are coming up. Between all that and an early start on my garden (Lola helped of course) I've been fairly busy, but I hope to catch up on some tarot and inspirational posts soon.